"...the biggest characteristic of this type of electrolysis is the fact that the electrolysis voltage will disappear when the battery is removed from the circuit." When we have a 12 volt circuit that has a poor or missing ground, we have an incomplete circuit that potentially pushes voltage into surrounding components. Maybe it's an electric cooling fan motor that has a poor ground and is using the radiator and coolant to complete the ground circuit. 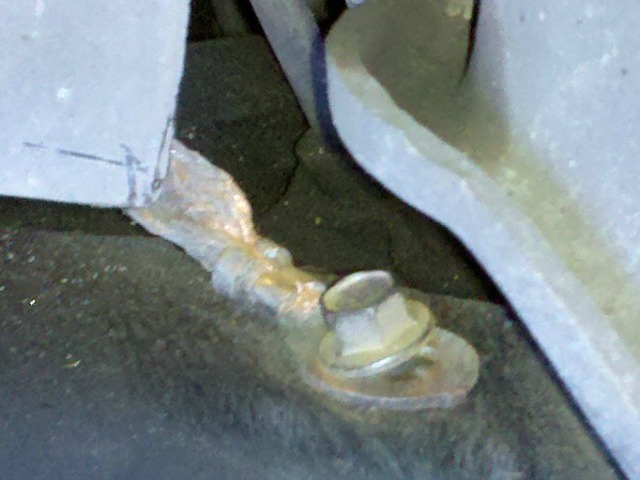 It may be fog lights mounted on the bumper, grounding through rusted mounting hardware. It could be other other add-on accessories, like radios, amps, or cruise controls to name a few. It might be an engine mounted sensor "leaking" voltage into the coolant. Perhaps the engine grounds have been "lost" during engine work, allowing current to flow "the long way" back to the battery. Other offenders include aftermarket electric chokes, spark boosters and audio upgrades. The point is, typically this type of electrolysis is a lost ground return path to the battery, and the current is leaking into the coolant as it finds a way back to the battery. The good news is, it is relatively easy to test it, isolate it and fix it. Of course the biggest characteristic of this type of electrolysis is the fact that the electrolysis voltage will disappear when the battery is removed from the circuit. If in doubt about testing, jump back to the testing page HERE. When it comes time for isolating the exact circuit, there are several strategies we can follow. Obviously, any loose or dirty grounds must be repaired. 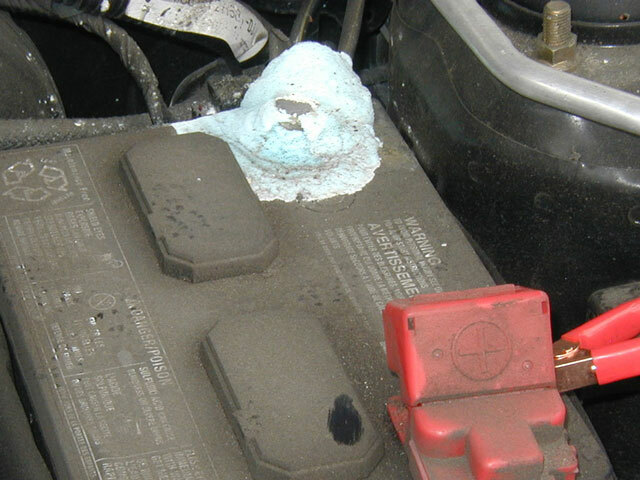 Also look for corrosion at the battery, and around the battery. Several main grounding points will usually terminate within 18-24 inches of the battery. While a visual test is important, cleaning the grounding points is highly recommended. This is usually done by loosening the ground, cleaning the mating surfaces with steel wool, sandpaper, or other abrasive material, and re-securing. The use of die electric grease is not necessary, but will reduce corrosion by blocking the oxygen exposure. We also need to understand that some circuits are battery fed circuits, and others are ignition switch fed circuits, meaning that we might not be testing correctly if the ignition switch is off. Taking careful notes about the characteristics of each problem circuit can be an important shortcut to finding the root cause, and zeroing in on the exact spot. Most of the time removing 1 fuse at a time will be very helpful in isolating the exact circuit. Once there is some isolation, further investigation along that circuit will reveal more exactly the source of the electrical fault. A wiring diagram will be very helpful to negotiate the twists and turns of the branch circuits. 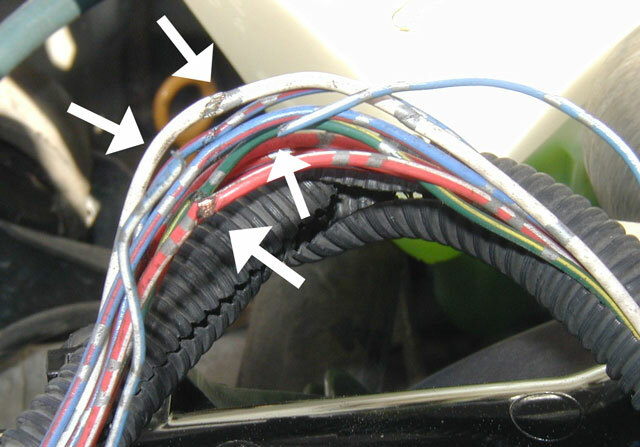 Some high current electrical components (starter and alternator) are not fused in the traditional way and will require very carefully removal of the wiring to isolate. Usually these high current components do not contribute to voltage in the cooling system. Sometimes by unplugging wiring harnesses you can get a change of cooling system voltage that will give you a direction to follow. A wiring diagram might still be needed to follow the circuits unless there is sufficient exposure to the wire harness. 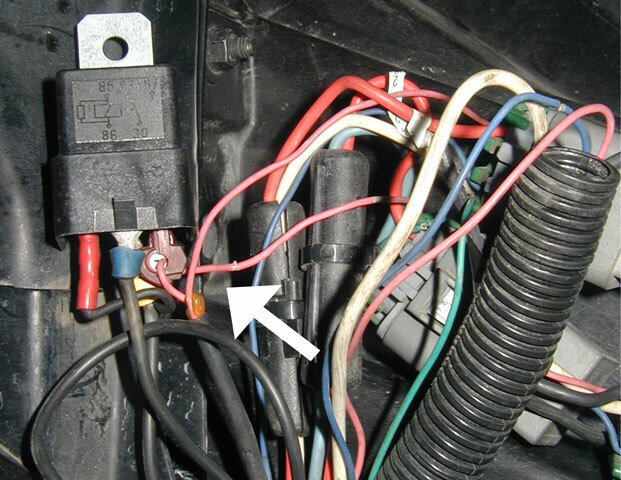 Treating this type of electrolysis like an electrical draw will most likely result in the problem being found. Tracing the circuit be be time consuming and difficult, but it can be found. 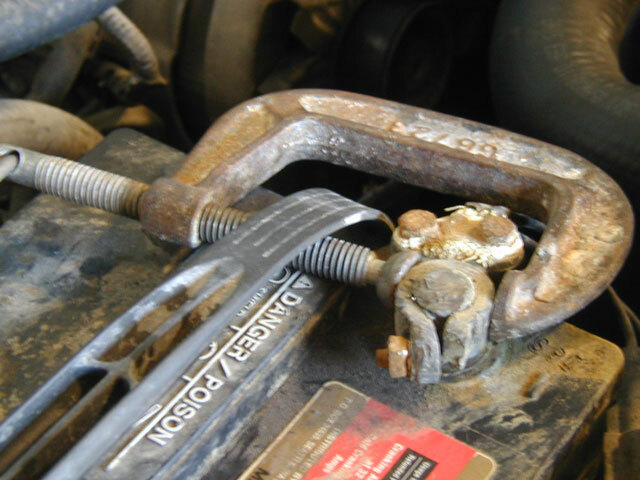 Consider getting help from an experienced mechanic if this becomes overwhelming. Some have reported that during starter operation the voltage spiked. 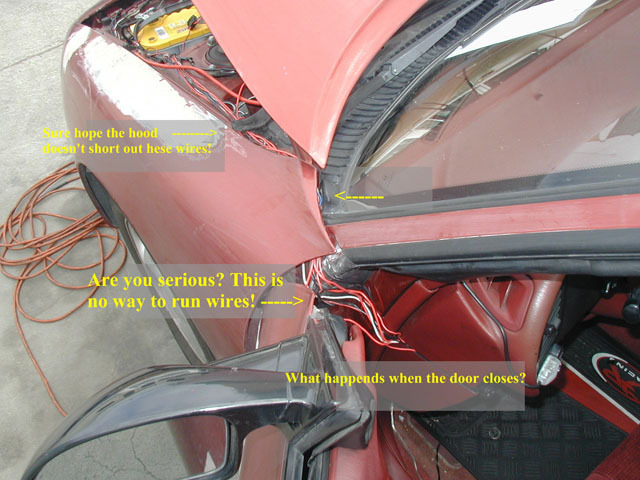 I have neither seen nor verified this, but if you encounter it, a thorough investigation of the battery cables and engine grounding wires must be performed. Remember that the battery ground MUST be connected to the engine as well as the frame. 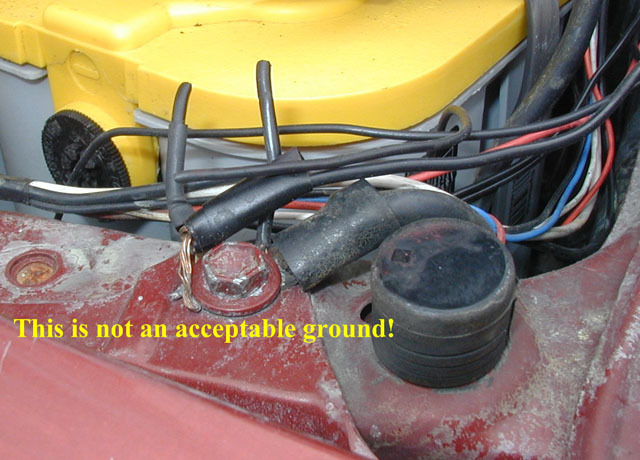 All grounded components must have continuity with the battery negative post. Running a second ground, although usually not necessary, will not hurt anything, and may improve starter efficiency. 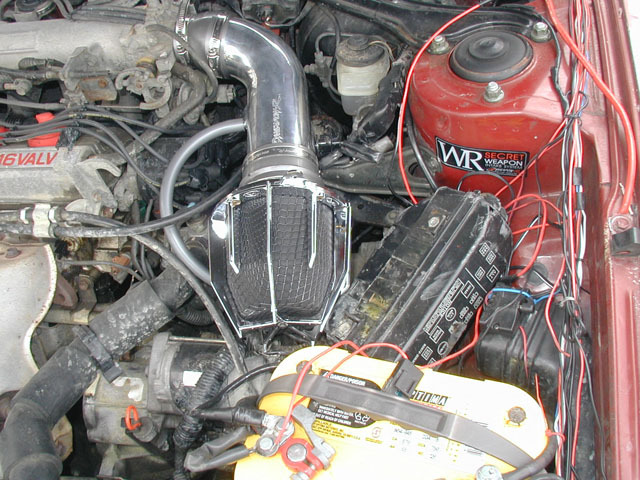 Commonly found under the hoods of modern cars are electric coolant pumps (sometimes called coolant after run pumps), electric heater valves, and electronic thermostats. Destructive voltage potential has never been closer to the cooling system internals as it is now.